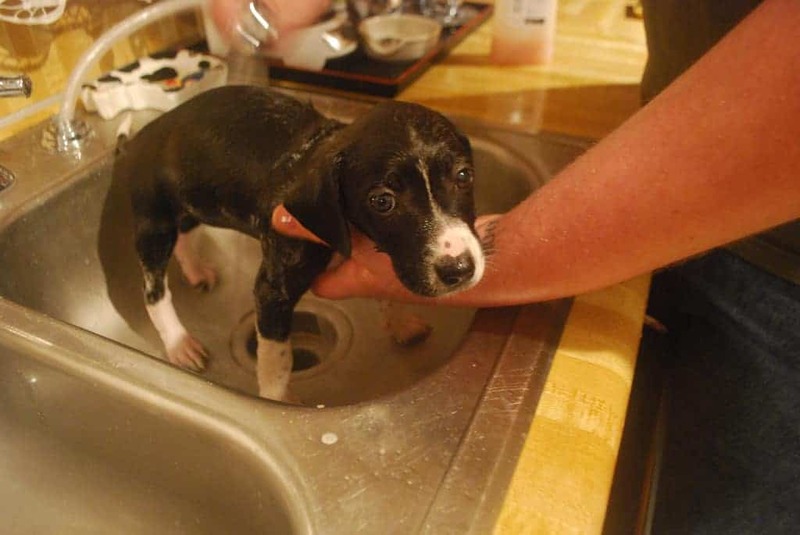 Like little children, potty training a puppy can be both smelly and messy. If care isn’t taken, you might scar the puppy for life. You may have to live with unpleasant accidents on the floor or carpets when you come back home. 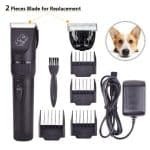 Be sure to make a smooth transition from puppy pads to the outdoor bathroom. 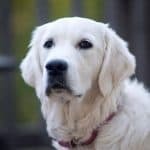 Most new dog owners complain and post comments like “my dog started peeing in the house, what can I do”? 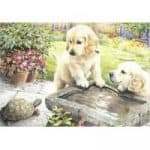 Others ask “when should a puppy be potty trained?” and how they can make a puppy pee outside. 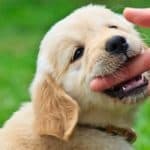 This article will show you tips on how to potty train a puppy to go outside. How long should it take to potty train a puppy? The different methods of training will be shown to benefit both stay-at-home dog owners and busy dog owners. First, let us consider your starting point. 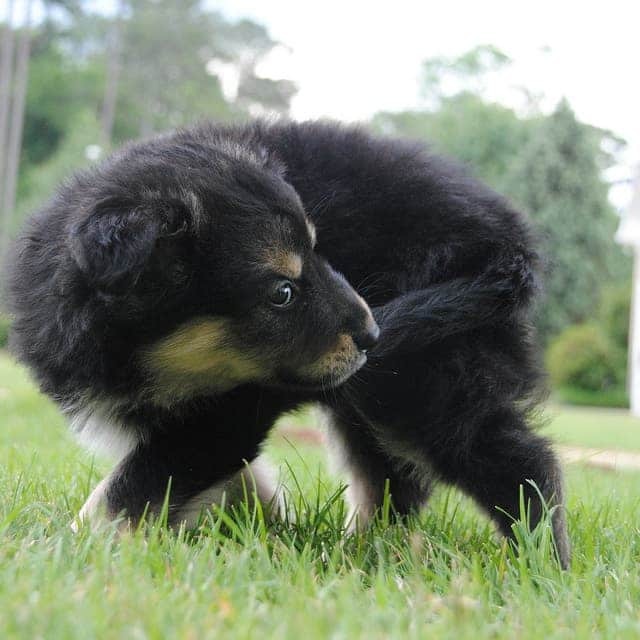 Starting to potty train can be done right away from the pup’s first day in your house. It is vital to do this as soon as possible to avoid accidents during the first days in a new home. This is because pups love to pee where they have urinated before. Therefore, you shouldn’t allow the pup to develop the habit of peeing in your house. Stop it before it even starts. For owners that go to work during the day and intend to leave the pup indoors for more than one hour, make provision for an indoor bathroom. With the methods of potty training, you can train your puppy in no time. This method is used to crate train the puppy and progress can be seen within 3 to 4 weeks of training. The other method involves the use of newspapers or puppy pads. Your puppy will learn to pee outside and use the pads when he can’t wait until you return home. Note that this process is gradual and may take several months. This first stage involves teaching the puppy about the appropriate places to poo and pee. This stage also prevents the puppy from peeing in the wrong places. You also must supervise your pup when his bladder is becoming full. This can be done by placing him in the crate for some minutes. Cuddling the puppy may also work. Dog trainers recommend the cuddling technique for a few days after the puppy’s arrival. You can try the crate method when he has settled into the new home. You cannot be sure when this happens, but you can use a clock. If the puppy needs to urinate every thirty minutes, you can guess that his bladder will be getting full if he peed over twenty minutes ago. In this second stage, the puppy will start to learn self-control. He will be able to wait for some minutes before peeing when his bladder is getting full. As stated in stage 1, you must ensure that the puppy reaches the toilet area quickly enough, so he doesn’t wet himself inside. While training your puppy, there may be accidents, and the pup may wet himself indoors. Some puppies only last for one hour between toilet breaks. This is where owners relax, and puppies have accidents in the house. When this happens, try not to panic. Change your routine and go back to the shorter gaps between each trip. Do this for a few days and space out the trips but take your time. Supervise your puppy to know when he needs to wee soon. Look out for signs that show that the pup’s bladder is getting full. If you’re still using a crate, you can use it to stretch out the toilet trip gaps. If you don’t make him wait for too long, he won’t pee on his bed. The last stage is where your hard work starts to pay off. You can now stretch out all the gaps between the toilet breaks. You can introduce the puppy to other parts of the house after this stage. Remember to keep him away from carpets unless you supervise him personally for a month. Note that you must be patient even when accidents occur. Return to the second stage and shorten the gaps between the trips for some days. How much water should a puppy drink during potty training? The general rule is that a puppy should take one ounce of water per pound of his body weight. However, this applies to regular days with normal weather. On hotter days, a puppy will need more water to prevent dehydration. Remind your puppy to pee when its time. Walk and feed the puppy at the same time so it will become routine. The puppy should be taken to the potty area every hour after eating or playing. If your puppy has a toilet accident, clap so the noise will stop him. Then carry him to the potty area. Don’t scold your pup after an accident unless you catch him in the act. Clean your puppy’s pee accidents thoroughly to prevent reoccurrence. Use a crate for puppies under 4 This will help them when you are not home.